Congratulations on getting your blog started, Angelika! I’ve already learned something new. 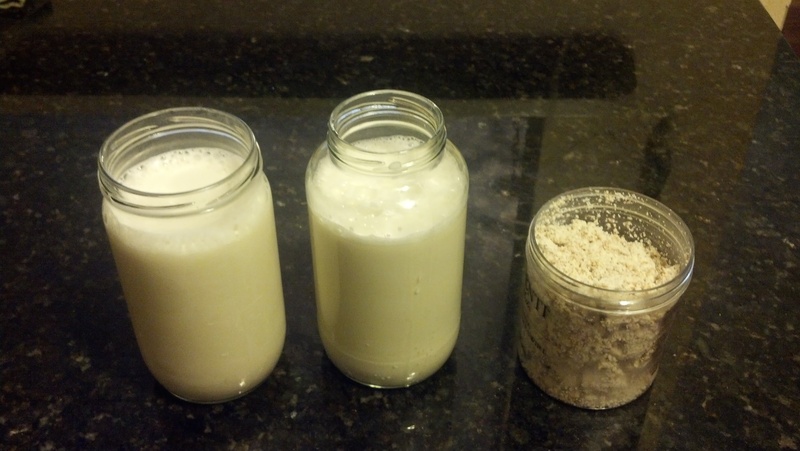 I always wondered how to make almond milk, and you made it sound so do-able. I look forward to learning more from you. The blog looks great. Clean, easy to read. Yay! Thanks Sandy, I really appreciate it. Means a lot!! I learn from the best! Do you have recipe ideas for the almond pulp? I’m looking forward to trying this! Hi Adi. I will be posting some recipes real soon, hopefully within the week! This is awesome. Any tips for making RICE milk? My baby is allergic to nuts. Yes! I am so glad you asked. You can use the exact same recipe for almond milk (don’t forget to soak), with the same proportions (1 cup rice to 3 cups water). For those who don’t have a really powerful blender like Vitamix, this should work well with whatever you have since rice is soft. Use brown rice! Let me know how it goes!